It’s trying to fight this off as 47% of its requirements are already hedged at US$55/bbl. 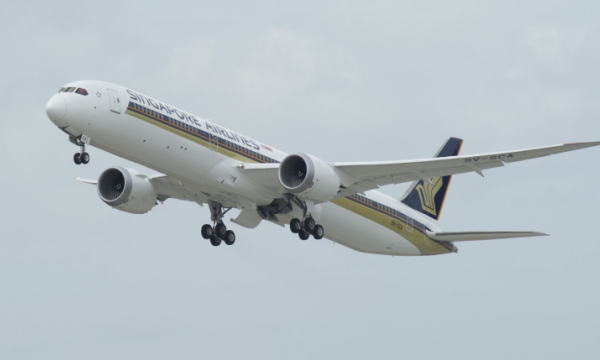 Singapore Airlines (SIA) is releasing its financial statement for the first quarter of financial year 2019 on 26 July. Some analysts are expecting rising oil prices to hit the airline group and persist as a headache for the rest of the year. Maybank Kim Eng analyst Mohshin Aziz noted rising fuel prices is not only a headache for SIA but for the whole industry as well. “We noticed this has forced the industry to be more clinical in dispersing new capacity and new route launches are increasingly a rarity,” he said. However, the analyst also pointed out how the airlines group will be a beneficiary of price hikes at the balance sheet level. “SIA had guided that every US$1/bbl increase in fuel prices will lead to an $110m increase in shareholders’ equity. To date, Brent crude prices have risen by US$4.90/bbl,” he said. Ajith also expects more losses for SIA because of the weak performance of SIA Cargo, which is forecast to report its first operating loss in five quarters. Cargo load factors and cargo throughput declined 4.3ppt and 0.3% YoY respectively. “Against the backdrop of a rising global trade war, slowdown in growth in China and reduced non-oil domestic exports to China, we believe the cargo weakness could persist in the upcoming quarters. However, yields are likely to remain resilient at least for another quarter,” he said. On the other hand, Aziz noted that cargo yields have been on an uptrend since 2Q2017, driven mainly by the electronics sector and internet retail sales. “In addition, the industry shed excess capacity in 2014-2016 as the market consolidated,” Aziz added. As a comparison, Ajith did note that Taiwanese carriers reported double-digit growth in cargo yields in 2Q2018. These headwinds aside, Aziz pointed out that the other indicators for SIA are pointing to clearer skies. Passengers carried by the group grew by 7.5% YoY to 8.8 million. “This is above its long-term average of 5% growth (excluding the Tigerair acquisition YoY comparison), which suggests passenger traffic growth was very healthy,” he said. Passenger load factor also soared by 2.2ppt YoY to 82.3%. “The stronger load factor performance was due to better industry supply-demand dynamics whereby Asia Pacific-based carriers were disciplined in deploying capacity and have been successful in closely matching it with demand growth,” the analyst added. Ajith added that SIA’s yields could rise in the second quarter and beyond. “Asia Pacific airlines like Eva Air, Korean Air, and Japan Air have passed on the increase in fuel prices as fuel surcharges. Also, long-haul flight tickets out of Hong Kong could rise by HK$600 in fuel surcharges. We believe that this allows for an optimistic pricing environment, potentially increasing pax yields,” he said. The analyst’s estimates suggest that every one-cent rise in pax yields will raise operating profits by $24.4m, or 20%.